Nita was an amazing instructor full of energy, friendly and verb knowledgeable about SUP yoga. Highly recommended for all levels: beginners to advanced, Nita gave modifications & variations as needed and made our time on the water both challenging and playful! Not to mention, the SUP boards were in great condition. Highly recommended if you are looking for a humbling, laughter- filled experience in Bali! Great instructor- very knowledgable and made us feel comfortable about falling in… frequently Challenging workout Lots of laughs Beautiful setting Good quality equipment An unforgettable experience! I have never been on a paddle board, but I love yoga, and love being outdoors. Stand up paddle board yoga was so much fun. Nicole, the instructor was wonderful. The yoga poses were simple but challenging. Only fell in once, but had lots of laughs. Loved it. Highly recommend to anyone keen for a new experience. I had the pleasure of doing a one on one SUP class with Nicole in Sanur in 2013, it was my first SUP Yoga class, i had done yoga and Stand Up Paddle but not together! Nicole is a amazing teacher, she is confident and knows her stuff, she is so friendly and makes you feel at ease. It was so serene being on the water, it was challenging and i was stoked i didn’t fall in, although i did jump in after for a dip. 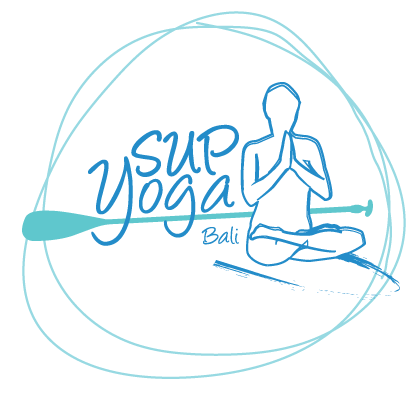 I had the best time, i cannot recommend SUP Yoga Bali enough and i cant wait to get back in the water with her on my next visit. Just amazing! Sunset SUP yoga in a totally peaceful lagoon. Am not a yogi at all, just discovered bikram since I moved to Bali, but this experience might change my attitude towards yoga in general. Everything was perfect…small group, no waves, nice sunset, beautiful lagoon and Nicole is a great teacher…give it a go you will not regret! What a fantastic and epically cool experience. This was my first time being on a stand up paddle board and my first yoga class. Why I decided to try both at once…I still haven’t figured out. But it was AWESOME! The best experience I’ve had on my vacation thus far. Nicole is an awesome teacher and willing and ready to help with guidance. Would definitely recommend for any level. She will make it easier and harder depending on your level. This is the best yoga experience I had. I’m just new with yoga and was initially hesitant to join my friends. However, Nicole, our instructor, was really patient and also very knowledgeable. First, she taught us the basics on how to handle the board, then how to paddle sitting down, then paddle standing up just to get our balance in. We got to paddle around for a while before the actual yoga practice started. Each of our boards were hooked into a line just to be sure that we don’t go floating around. We were also blessed because the weather was great and the sea was calm. Plus we were only 3 in the class so Nicole was able to offer assistance to our needs. At the end of the class, she even offered to take our pictures even though we were already over time. The class took around 1 hour and 30 mins including the instructions at the start. I have done many SUP yoga classes but this was by far the most incredible view and perfect set up for SUP yoga. I loved being in the warm, tropical, clear water and there were no waves or wind, perfect conditions! Nicole is a very good teacher and we even caught a few waves when we were done which was an added bonus. Thank you! I loved my SUP yoga class with Nicole, It was so peaceful to be in the middle of the ocean and get a whole new perspective of Bali. This was the highlight of my trip to Sanur and by far the best activity I did on my trip! I will be looking for SUP yoga classes at home! Thanks again!